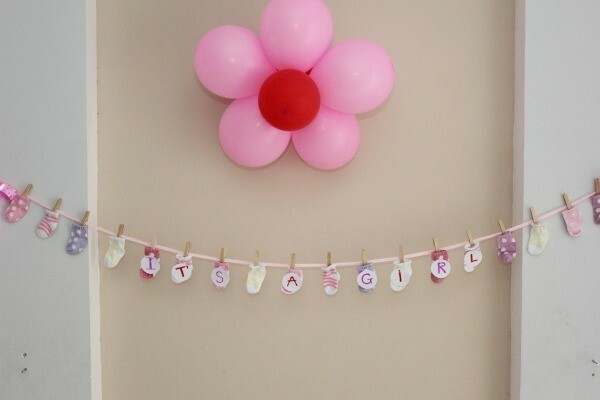 A fun and easy theme for the expecting parents' party can be with flowers. There are a variety of floral invitations, favors and decorations. 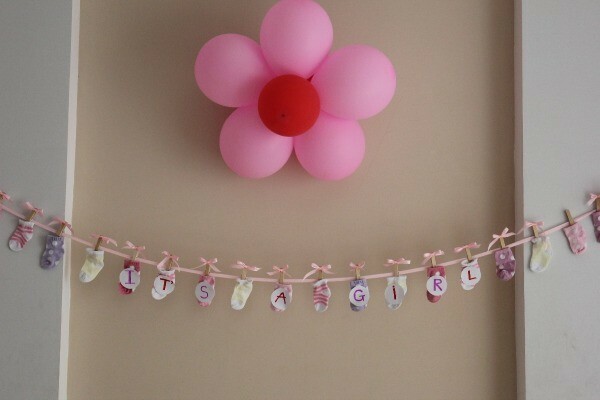 This page contains flower themed baby shower ideas. I recently threw a baby shower for a friend here in Vietnam. This was her first time attending a baby shower. In Vietnam, people don't have a party until the baby is 1 month old. This party is similar to a baby shower, in that many people bring gifts or money for the baby. Since she is married to an American, we thought it would be nice to give her an American-style baby shower. Since I am living in Vietnam, I don't have access to a craft store. I had make do with what I could find locally so I kept my theme fairly general. My friend is having a girl, so I decided to go with a traditional girly color scheme of pink and red, and do flowers as the theme. 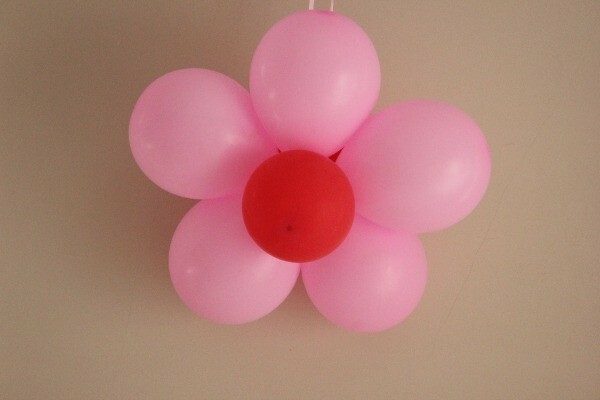 I used pink and red balloons to make balloon flowers. I hung them up in the doorway and on the walls. These were easy to make and really looked cute. 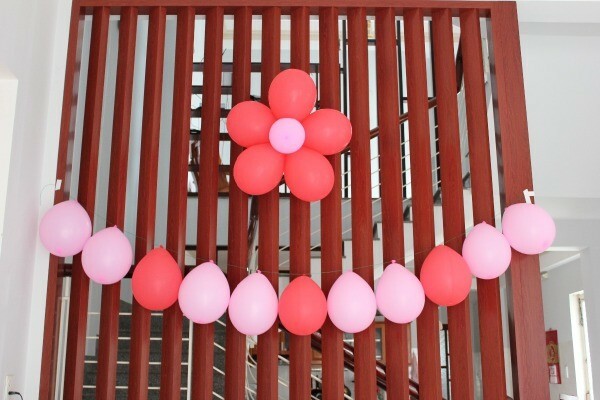 I made a balloon banner that you saw right as you walked in the door. 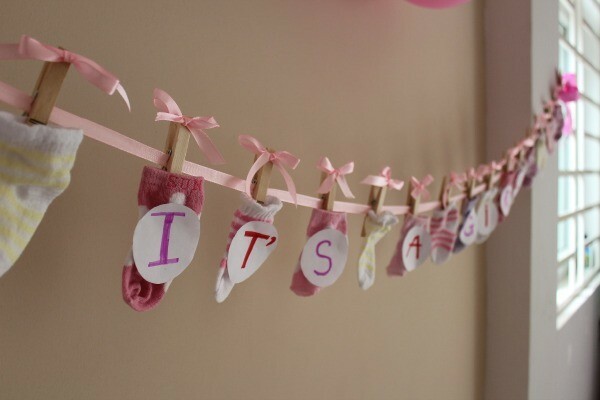 I also made a sock banner, to hang above the cake table. I used clothespins to pin the socks to the ribbon. I glued a pink ribbon bow to the end of each clothespin. 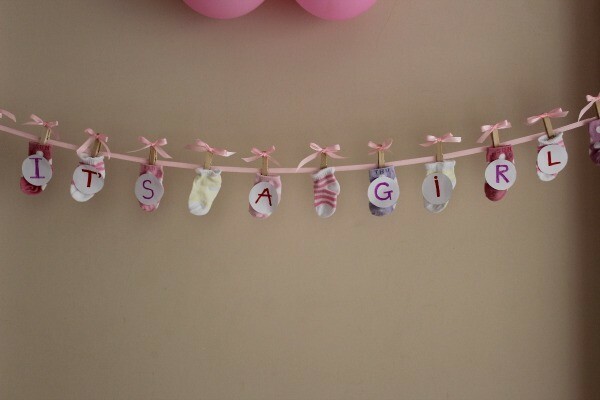 Then, I cut out paper circles that and taped onto the socks to spell out "It's a Girl." I love how this turned out. It doubled as a gift I could send home with the expecting mother. 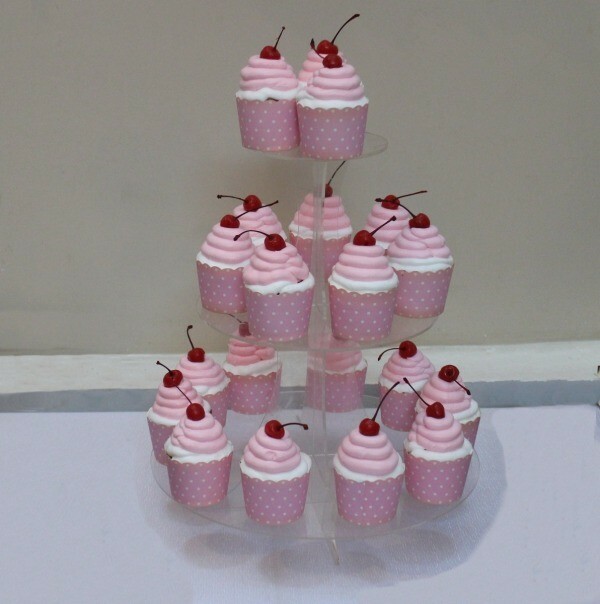 To help tie the red and pink theme together, I had cute cupcakes made that had pink frosting with a cherry on top. 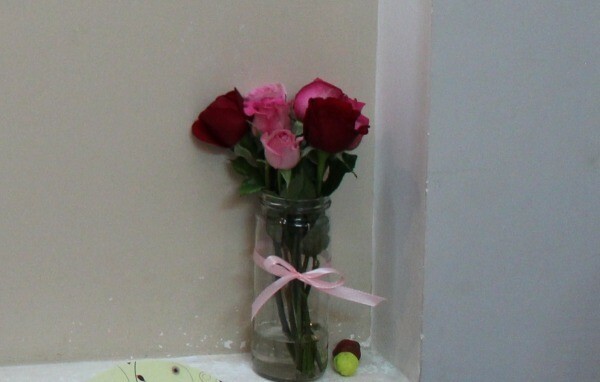 Throughout the house, I had pink and red flowers in jars with a pink ribbon around each jar. Fresh roses are inexpensive here, so that is what I used. 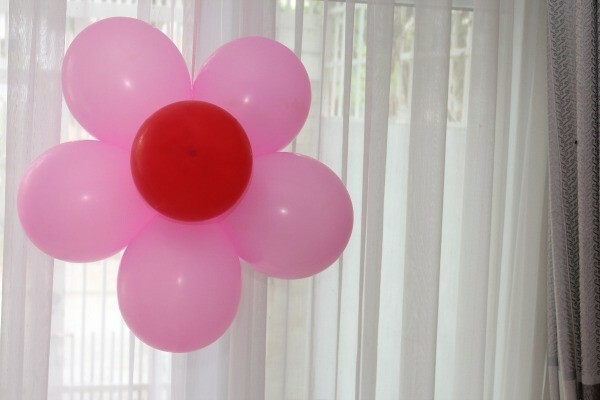 My friend had a wonderful time at her party and loved the flower decorations! Very cute and so fun. 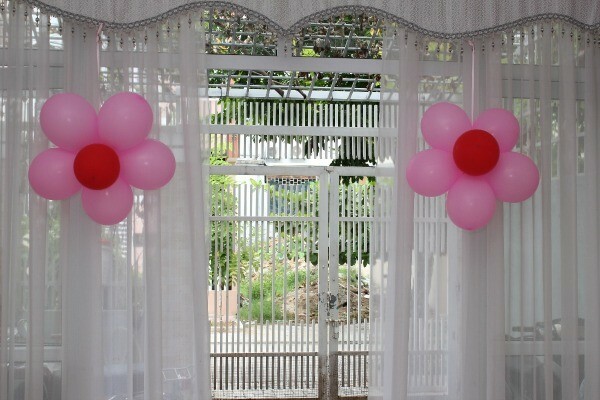 I love decorating with balloons, so cheap and so beautiful! You did a great job! Thanks for the good ideas and thanks for sharing.